We are pleased to announce that the 2017 Irish Funds Annual Global Funds Conference will take place in Dublin on Thursday, 25 May 2017. The conference will be held this year in the InterContinental Hotel (formerly The Four Seasons Hotel) Simmonscourt Road, Ballsbridge, Dublin 4. Now in its 19th year this conference is a landmark in the international funds industry calendar and it attracts a wide range of participants from across the international investment funds community. The conference brings together prominent industry speakers to discuss current issues and challenges facing the international investment funds industry. It will include thought provoking and informative presentations, keynote talks and panel discussions from internationally respected industry experts and will look at Irish solutions for managers globally. Agenda and speaker details are available in the tabs further below. Sponsorship opportunities are available for this conference and other events. Golf - we will also be hosting a pre-conference golf networking event on Wednesday, 24 May 2017. The Golf is now fully booked and no further registrations will be accepted after Thursday 11 May. Annual Gala Dinner - the annual gala dinner will take place following the conference in the evening. Please note the Distribution Workshop is now fully booked and no further places are available. Can ZHU, China Asset Management Co.
Hao LUO, China Southern Asset Management Co.
Qian ZHANG, GF Fund Management Co.
An experienced executive who has held senior positions at global financial institutions as well as boutique asset management firms.Robert is currently the COO of Heptagon Capital, a private asset management company, and is responsible for managing all of the non-investment related activities of the firm, business relationships and strategic initiatives and is a board member for the firm’s investment vehicles and companies.Prior to joining Heptagon, Robert was a Partner and COO of a London based hedge fund, which he helped launch.Additional experience includes managing global and regional support teams for various capital market businesses; planning and implementing offshoring strategies; designing and managing infrastructure improvement projects; and managing financial control, operations and risk management teams for financial institutions. Robert is a CFA and has an MBA in addition to undergraduate degrees in Finance and Economics. Jim has practiced financial services law for 27 years in both the United States (11 years) and in Europe (16 years), principally in the United Kingdom and Ireland. Prior to joining Russell in 1988, Jim was a securities lawyer in the United States focused on mergers and acquisitions, re-capitalisations and other capital raising activities of banks and oil and gas companies. 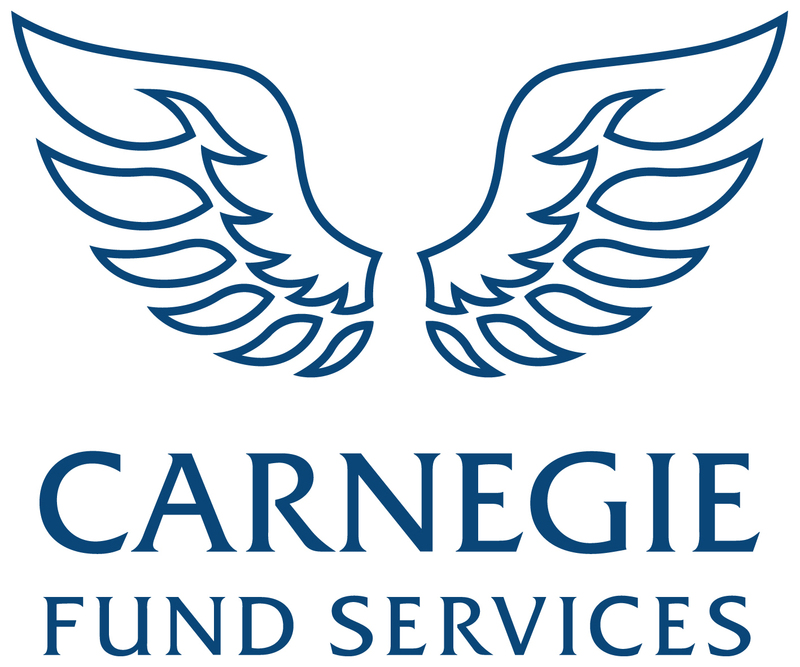 2005 appointed by the Irish government in as the fund industry’s expert to CESR in Rome and Paris, giving testimony on the development of Level 2 measures under UCITS III and UCITS IV over a five year period. The Expert Group disbanded in February of 2010 when the European Commission proposed the creation of the European Securities and Markets Authority. 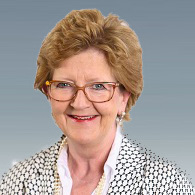 Also appointed in 2005 as a member to the Taoiseach’s (Irish Prime Minister’s) Pan European Pensions Task Force (ongoing) and in 2010 to the Taoiseach’s Expert Group on Asset Management to advise the Irish government on the development of the Asset Management Industry in Ireland. A member of the US Investment Company Institute’s International Committee. Chairman of all of Russell’s group companies and of all fund products in Europe, the Middle East, Africa and the Caribbean. Gareth Lambe is the Head of Facebook Ireland - responsible for the health and success of Facebook's International Headquarters in Dublin, employing over 1,500 people. Gareth started his career in brand marketing with Pernod Ricard, and was later part of the start-up team of Pigsback.com. In 2009 Gareth joined PayPal as Director of Merchant Operations EMEA, running a team of 300 people across Account Management, Business Support and Telesales. In his five years at Facebook Gareth has run the Advertising Operations function and latterly the Sales Planning and Operations team – driving the operations and strategy for Facebook’s sales organisations across EMEA and APAC. Antonio joined ESMA in August 2011 and works as a Senior Policy Officer for Investment Management within the Investors and Issuers Department. Antonio deals with the EU legislation on asset management (UCITS Directive, AIFMD and ELTIF Regulation) with a specific focus on remuneration and depositary-related matters. He represents ESMA as an observer within the IOSCO Committee on Investment Management (C5). In the past, he also contributed to the ESMA and IOSCO activities on benchmarks. Prior to joining ESMA, Antonio was a senior associate at the law firm Arendt&Medernach in Luxembourg where he advised a wide range of international clients on setting up investment funds. He also worked for two Italian law firms in Brussels and Padua specialising in European competition law and litigation. He qualified as a lawyer in Italy and was registered as a EU foreign lawyer in Luxembourg. Antonio holds a law degree from the University of Padua, a master degree (DESS) in European Litigation from the University of Luxembourg and the University of Strasbourg “R. Schuman” as well a Postgraduate Diploma in EU Competition Law from the King’s College (London). Brian is a fund manager at Davy Asset Management, with responsibility for the Davy Ethical Equity Fund and Davy Global Equity Fund. Prior to joining Davy Asset Management in 2015, Brian was a member of the global equity team at Allianz Global Investors in London, where he was focused on sustainable global equity portfolios as part of a team responsible for over €30bn in sustainable investments. Previously, he was on the graduate programme at Capital International, also in London. Brian holds a BA in Psychology from University College Dublin and an MSc from the UCD Michael Smurfit Graduate Business School. He holds the Investment Management Certificate and is a CFA level III candidate. Chris was co-founder, CEO and Chairman of IONA Technologies, a leading software provider that was listed on the NASDAQ in 1997 and becoming for a time one of the top ten software companies in the world by revenue. Chris is a recognised thought leader in the Irish ICT space and regularly writes opinion pieces for the Irish Times as well as serving on various Government Advisory bodies. 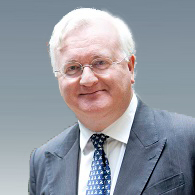 He is a former President of Engineers Ireland and Chairman of the Irish Management Institute and has served on the boards of Trinity College Dublin and Science Foundation Ireland. He is also a former Chairman of UNICEF Ireland, the Irish Brain Research Foundation and the Community Foundation of Ireland. He regularly serves on a number of award and competition panels. Chris has been an active Angel Investor over the past decade and is currently Chairman of Sophia Search and Gridstore as well as a board member and Advisor to the World Irish Project. Chris is also Chairman of The Science Gallery, a young adult outreach initiative. He holds a degree in Electronic Engineering and a PhD in Computer Science, both from Trinity College Dublin. Mr. Zhu has 18 years of experience in trading and investment. He started as an FX and fixed income trader at Bank of China and later became senior investment manager at CITIC Securities. Prior to joining ChinaAMC’s Fixed Income team in 2013, Mr. Zhu spent 7 years with Deutsche Bank (Singapore) trading Asian currencies and credits. Mr. Zhu obtained an MBA in 2006 from University of Chicago Booth School of Business with concentration in Analytic Finance. He also holds B.S. in Computer Science and M.S. in International Economics, both from Peking University. 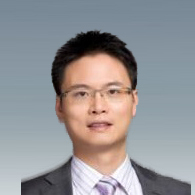 Mr. LUO Hao is a Senior Research Analyst in stock market trading strategies at China Southern Asset Management. He obtaineda Bachelor's degree in Biology and a Master's degree in Finance at PekingUniversity. After joining CSAM in 2009, he worked as a research analyst in pharmaceutical sector until 2014. Since 2015, he has served as a stock analyst specializing in trading strategy of major stock trends. China, with AUM of over USD 1 billion. 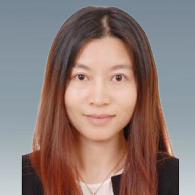 Ms. Zhang has 16 years relevant working experiences and 11 years experiences in fixed income investment. Ms. Zhang joined GF Fund in 2012. Prior to that, she worked in Changsheng Fund Mangement as head of fixed income investment & fund manager. Before joining Changsheng, she was director of fixed income investment in PICC Asset Management. Ms. Zhang also worked in China Galaxy Securities as analyst of fixed income. Ms. Zhang holds bachelor degree of Finance from Tsinghua University in China and MBA from Institut d’ingénièrie informatique de Limoges in France. Ms. Zhang has been managing fixed income mandates for China Social Security Fund since 2006. Due to her outstanding performance, Ms. Zhang was recognized and honored with “Outstanding Portfolio Manager” by China Social Security Fund in year 2011. The award was given to portfolio managers who had been managing a mandate for at least three years and only two portfolio managers were honored in year 2011. Dr. Chao Jiang serves as Deputy Head, Chief Marco Economy & Fixed Income Analyst of Research Institution at Haitong Securities. Dr. Jiang used to work for GTJA Securities after he obtained his quantitative economics PHD From Tsing Hua University. He Joined Haitong Securities at the beginning of 2013. Dr Jiang has been awarded the Best Analyst of Marco Economy in 2010-2016 by New Fortune Magazine (The most influential Award in China research industry); Crystal Ball Award by Securities Market Weekly in 2011-2016; Golden Bull Award by China Securities Journal in 2011-2016 and 2016; He’s also been awarded Best Analyst of Fixed Income Research in 2006-2016 by New Fortune Magazine. In early December, 2014, Dr. Jiang’ s team made a forward-looking judgment of the upcoming market boom in 2015 based on the observation of China’ s macro policy direction. When the market was immersed in an atmosphere of jubilation in middle June, Dr. Jiang accurately predicted the pulse of the market by studying the changes of the short-term policy focus. During that period of time, Dr. Jiang pointed out the market risks by presenting a series of relatively cautious views about China’ s capital market in the second half of 2015. Dr. Jiang continuously released positive views of the market from late August, which well predicted the rebound in Oct. During the road show period in the Europe and Hong Kong, he issued a series of widely recognized research reports, which were highly commented by both onshore and offshore investors. Ms. Yuan was appointed as the Deputy General Manager of Institutional and International Business Department of Haitong Securities since 2015, mainly in charge of the international business. Prior to that, she was the Assistant General Manager of International Business Department during 2008-2012. Ms. Yuan has rich experience in QFII and RQFII brokerage business. She was one of the a few most experienced QFII experts in China, playing important role in the development of QFII and RQFII business and the application of algorithms trading in China. Before her career in International Business Department, Ms. Yuan was a fixed income trader in FICC Department. Ms. Yuan holds a Master of Economics Degree from Nanjing University. 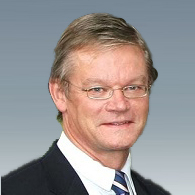 Bob Kneip is Founder and Chairman of KNEIP, the leading expert in data and reporting for the financial industry. Bob has distanced himself from day-to-day operations, now entrusting them to a CEO, to contribute to ‘the enormous changes caused by the market trends, new technologies and ever-changing regulation, impacting our industry ’. Bob is focused on the future role of KNEIP and the regeneration of the fund industry; he is the obvious choice to lead the change process. Further, Bob is leading KNEIP’s digital project, aiming to deliver industry value and efficiency solutions. A digital transformation team has been recruited, headed by the former Skype COO. Bob will leverage his extensive experience and network, devoting more time to meeting the customers, industry experts, academics and experts engaged in the industry. 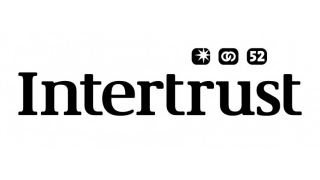 the second, is to lead the digital transformation mission, supporting fund industry challenges, harnessing KNEIP’s expertise, using agile teams to support the digital transformation team. Further, Bob is a board member of Quilvest S.A. and San Faustin S.A., along with charitable organisations. 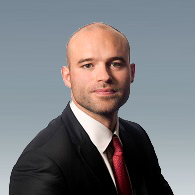 Based in London, Maurice is a member of the Agency Securities Lending business origination team for the EMEA region. He has twenty years’ experience in relationship management, origination and product development remits at custodian and non-custodian lending providers. He has extensive experience in structuring securities lending and financing solutions for Asset Managers, Central Banks, Pension Funds, Insurance companies and Sovereign Wealth Funds. Maurice is a regular speaker at institutional investor forums and an active commentator in industry publications. He is an honours graduate of University College Dublin with both Bachelor of Commerce and Master of Business Studies degrees. 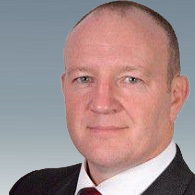 Ted is a tax partner and Head of financial services tax at William Fry Tax, the exclusive Irish member of Taxand, the global tax advisory organisation. He has 20 years experience advising on tax matters impacting Irish and international investment fund structures from plain vanilla mutual funds through to more complex international alternative investment structures. Ted helps clients understand how international taxation impacts on their investments, their financing and fund structures, their investors and their own businesses. He is a regular commentator and speaker on tax issues impacting the investment management industry. Ted is a Fellow of the Institute of Chartered Accountants in Ireland and a member of the Irish Funds Industry Association’s tax committee for 12 years. 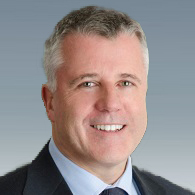 Craig was appointed PwC’s Global Real Estate Leader in July 2016. From 2012 he led PwC’s UK Real Estate and Global Sovereign Wealth Fund Real Estate practice. Before joining PwC, he spent 19 years with EY in the UK and Australia where he led EY’s Real Estate, Hospitality and Construction (RHC) practice in the UK & Ireland and was a member of its Global Real Estate IFRS panel, EMEIA Region and Global RHC Leadership teams. Craig advises his clients on a range of services including real estate strategy –from planning through to execution; operational efficiency; cost reduction; regulation; buy and sell-side transaction support; and audit. Craig is regularly asked to contribute to Real Estate industry bodies, conferences and the media on topics that impact the Real Estate sector –whether they be UK, pan-European or Global in nature. 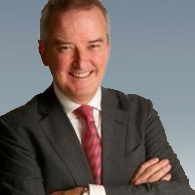 Brian is the Senior Managing Director responsible for developing Hines’ business in Ireland. Starting in 2011, he established the Hines platform in Ireland which currently has more than €1.3 billion of retail, office and residential assets under management. Additionally, the firm has a major development pipeline in each of these sectors. 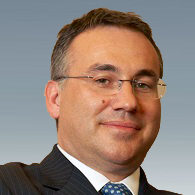 He re-joined the firm in 2011 having previously worked with Hines in Russia in the 1990's. In between, he ran his own successful development management and investment advisory firm based in Dublin which focused on large urban regeneration, university campus developments and housing PPP projects. Brian is a graduate of Architecture from the Dublin Institute of Technology and obtained an MBA at the University of Chicago. He is a Trustee of the Urban Land Institute and a member of the Irish National Council. Alison leads Goodbody Fund Management in delivering AIFM services to fund clients. With assets of €4.5bn under management, Goodbody Fund Management is AIFM to one of the largest portfolios of real estate assets in Ireland. 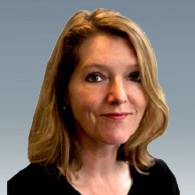 Alison has 25 years’ experience evaluating and developing financial products. 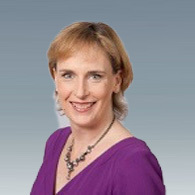 Since joining Goodbody in 2004 Alison's responsibilities have included the evaluation and selection of third party funds with a particular focus on alternative strategies, development of structured products, establishment and expansion of credit union investment services, financial planning, preparation of investment proposals for high net worth individuals and organisations and management of specialist client portfolios. Alison was a member of the Asset Allocation Committee from its establishment until 2014 and continues to sit on the Alternative Assets Committee. 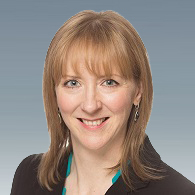 Prior to joining Goodbody in 2004, Alison held various product development and technical marketing positions in several wealth management and insurance companies. 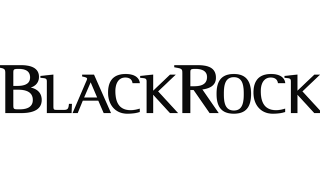 Alan leads Product Strategy for BlackRock Real Assets which comprises BlackRock’s Infrastructure and Real Estate platforms with 320+ professionals across 24 cities globally, managing over $31.5 billion in client commitments. Alan is a member of the Real Assets Executive team focused on business growth for all Infrastructure and Real Estate products and strategies globally, with responsibility for market thought leadership, product strategy and development, fundraising, client relationships, marketing and platform communications. 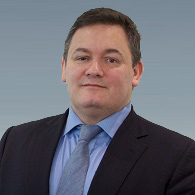 In July 2016 Andy was promoted to Chief Executive Officer , Andy joined ISLA as the COO of the International Securities Lending Association in 2013. 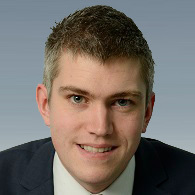 His previous role was EMEA Director Specialist Sales & Head of Account Management at Data Explorers (now Markit), where he was responsible for the day to day running of the group’s securities lending benchmarking services as well as the development of various risk and consultancy business in Europe. Andy joined Data Explorers from Prudential M&G, where he was Head of Business Development and Risk for Securities Lending with responsibility for sales, marketing and product development. He was also directly responsible for the management of the team’s discrete IT resources, legal and compliance. Prior to this Andy worked at Deutsche Bank for ten years. During which time he held senior marketing and product development positions within the Agency Securities Lending Business, including four years developing the bank’s fixed income repo franchise and front-office risk management tools as Repo Product Manager. He was also was heavily involved in the deployment of E-Commerce solutions for both clients and counterparts. 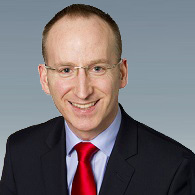 Andy previously worked at HSBC in the commercial bank and corporate finance areas of the business. Sheenagh Gordon-Hart is a partner in The Directors Office, serving as an independent director in the asset management sector, and runs 2020 Regulatory Consulting. She is well known as a thought leader on regulation, governance, distribution and product development in the asset management market. 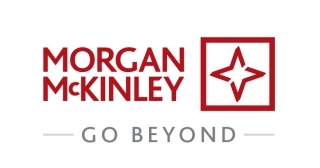 From 2001 to 2015 she was Client & Industry Research Executive at J.P. Morgan, advising clients including asset managers, pension funds and insurers on market landscape, regulatory changes affecting their businesses, and policy issues they should engage with. 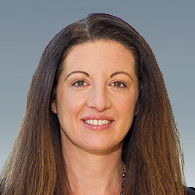 Prior to J.P. Morgan she ran her own investment and distribution consulting business for seven years after gaining experience of portfolio management, marketing and product development in the asset management businesses of Prudential Portfolio Managers, Capel-Cure Myers (ANZ Merchant Bank) and Prolific. 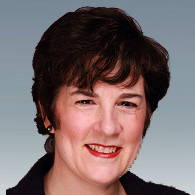 She has extensive experience of asset management sectors in Asia, Europe and the US. She is Regulatory Adviser to Fund-Radar, and was instrumental in creating PensionsEurope’s Multinational Advisory Group. She takes a keen interest in innovation in the asset management space. 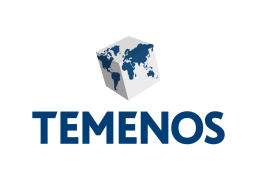 Over 20 years’ experience in the industry covering administration, investment services, change and integration management as well as expert in devising solutions to complex issues. Overall responsibility for TAS in Ireland covering individual as well group pension administration, operations and client system development. 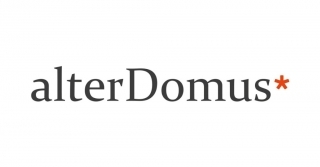 Director for Willis HC&B and Willis Private client entities as well as non-exec director for CFA Ireland, KBA Consulting, a management company for over 20 fund managers and other regulated entities. She is a CFA Charter holder, a holder of the Institute of Directors Diploma in Company Direction and was recently awarded the Graduate of Merit award from the Institute of Directors. 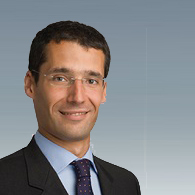 Karl Bishti is a Managing Director of Credit Suisse in the Prime Services division, responsible for European Stock Loan Supply trading. He is based in Dublin. 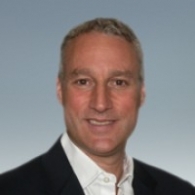 Karl has over 20 years experience in the Securities Lending industry. 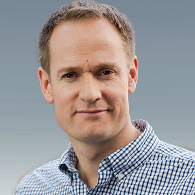 Prior to joining Credit Suisse, Karl worked within the Prime Services division at Bank of America Merrill Lynch (formerly Merrill Lynch International), as a Securities Lending trader between 2000 to 2004, and then as Head of Europe Stock Loan Trading from 2005 – 2009. Prior to Merrill Lynch, Karl worked at Citigroup on the Agency Lending side, within both stock loan trading and stock loan operations. Karl is also the Credit Suisse board representative for Equilend Europe and is a member of ISLA Karl holds a BA (Hons) degree in Business and Finance from Kingston University. Steve is a securities finance professional with over 20 years’ experience in the securities industry, 14 of them in securities lending and repo. 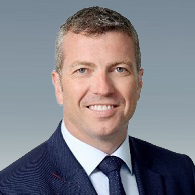 Steve is the head of the BNY Mellon Markets Securities Finance Sales and Relationship Management Teams in EMEA, where he is responsible for sales, market visibility and client management across the whole securities finance suite of products. Before he began working at BNY Mellon, Steve was responsible for securities finance sales and relationship management at Citigroup in London for seven years focusing on Luxembourg, Nordics and the Middle East. 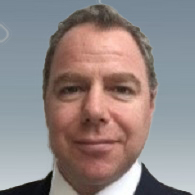 Prior to this, Steve was Head of Capital Markets Operations at HVB London, specialising in derivative structures. Steve has extensive experience with both the buy and sell side of the market, vendors and industry bodies, and is a regular contributor to industry press and event panels. 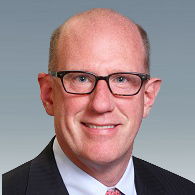 Jim Reese is the Acting Chief Risk and Strategy Officer for the SEC’s Office of Compliance Inspections and Examinations after serving as Assistant Director to the Office of Risk Analysis and Strategy since 2013. 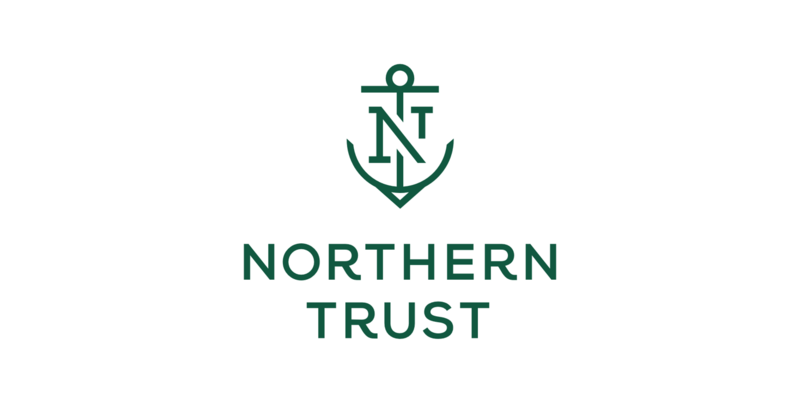 In this role, Jim leads a centralized unit of staff that are responsible for enhancing the National Examination Program’s ability to target those firms and practices that present the greatest risks to investors, markets and capital formation. 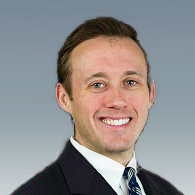 He joined both the SEC and OCIE in 1999 as an examiner in the Investment Adviser/Investment Company Program area. In his 18+ year career, Jim has participated on more than 450 examinations, assisted on approximately 50 rule-making initiatives and dozens of data analytics projects. 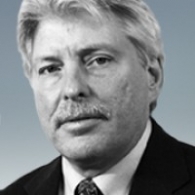 Jim has a degree in finance from Virginia Wesleyan College, is a Certified Fraud Examiner (CFE), and a frequent speaker for the Commission’s Technical Assistance Programs, providing technical training to Securities Regulators in Saudi Arabia, Trinidad & Tobago, India, Cape Verde, Turkey, Malta, Jersey, Qatar and the Dominican Republic. Barbara is responsible for all business activities relating to the London office, and directs Cerulli's European retail and institutional asset management research. She has more than 20 years financial journalism experience. She has written extensively on international capital markets and asset management, and has covered the emerging and frontier markets, in addition to the more developed markets across Europe and other jurisdictions. Barbara has an M.A. in History/Political Science from Dundee University, and is fluent in French. Cora is responsible for all aspects of Baring’s Product development globally. Cora has a depth of technical experience in product management, product development and strategy particularly in Europe and Asia and joined Barings as Head of Product Development in February 2013. Prior to joining Barings, Cora worked in senior Product Strategy and Development roles with several large global asset managers including Invesco and Allianz Global Investors in Frankfurt. 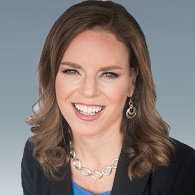 Cora began her career in asset management with Bank of Ireland Asset Management where she worked in business development and client services, in Dublin and Frankfurt, followed by Consultant Relations Management at Fortis Investments in Paris. Cora graduated in Law and German from Trinity College Dublin and achieved an Executive MBA from ESSEC and Mannheim Business School. 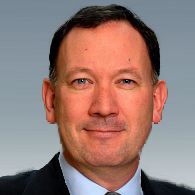 Craig Starble is the chief executive officer at eSecLending. He leads the development and implementation of eSecLending’s overall strategy. Craig joined eSecLending in 2013 and has more than 30 years of experience in financial services. 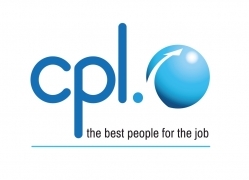 Before working at eSecLending, Craig held positions at Premier Global Securities Lending LLC (PGSL), State Street Bank, Shoebuy.com, and BankBoston Corporation. Craig received his Bachelor of Arts from Connecticut College. 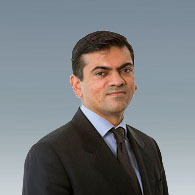 Jaspal joined Legg Mason in February 2014 as Head of International Product Strategy and assumed the role of Head of International Product from January 2016, responsible for product-related activities across Asia, Australia, and Europe. 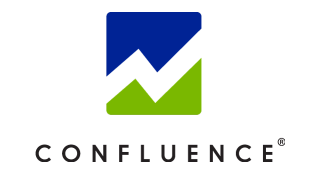 The International Product function consists of Product Strategy, Market and competitor Intelligence, Product Development and Product Management. Jaspal has additional responsibilities acting as a Director for Legg Mason International (Europe) Limited and Legg Mason Investment Funds (UK) Limited. 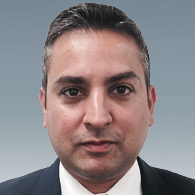 Previously, Jaspal was Head of Product, EMEA and Head of Product Strategy at HSBC Global Asset Management as well as a member of the HSBC Asset Management’s European Executive Committee. 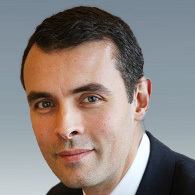 Jean-Marc Crepin joined Brown Brothers Harriman in Luxembourg in October 2007. Jean-Marc is the supervising Partner of our Dublin and Luxembourg Offices In addition, he is responsible for BBH Relationship Excellence Discipline, ensuring the coordinated execution of the sales strategy globally. 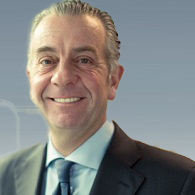 Jean-Marc also oversees BBH Trustee and Depositary function globally. 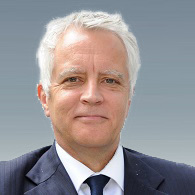 Jean-Marc is a member of the Firm’s Global Diversity and Inclusion Committee, the Chairman of the Diversity and Inclusion Committee for Systems and Investor Services as well the Chairman of the European Diversity and Inclusion Committee. He is also a member of the Systems Oversight Committee. Dr Vincent Power, Partner and Head of EU, Competition & Procurement at A&L Goodbody. In 2017, he won The International Law Office Client Choice Award for the category of "EU Competition and Antitrust" across the entire 28 Member State European Union which is awarded by in recognition of a partner who excels across the full spectrum of client service. 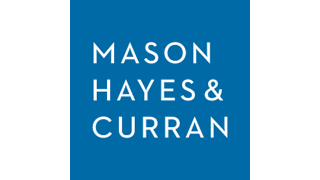 He has 25 years' practical experience of EU, M&A, State aid, competition and transport law experience acting for multinationals, businesses and States. Much of his work has been dealing with clients in crises (e.g., the banking crisis as well as cartel and State aid investigations). He has won global, European and national awards and is the author or editor of seven books. He has been deeply involved in Brexit-related issues. He has been described as "synonymous with competition"